Paola's place: The law is reason, free from passion. Bonjour!!! j aime ton combi!!! Super jolie!!! Really Cool photos! love the outfit. 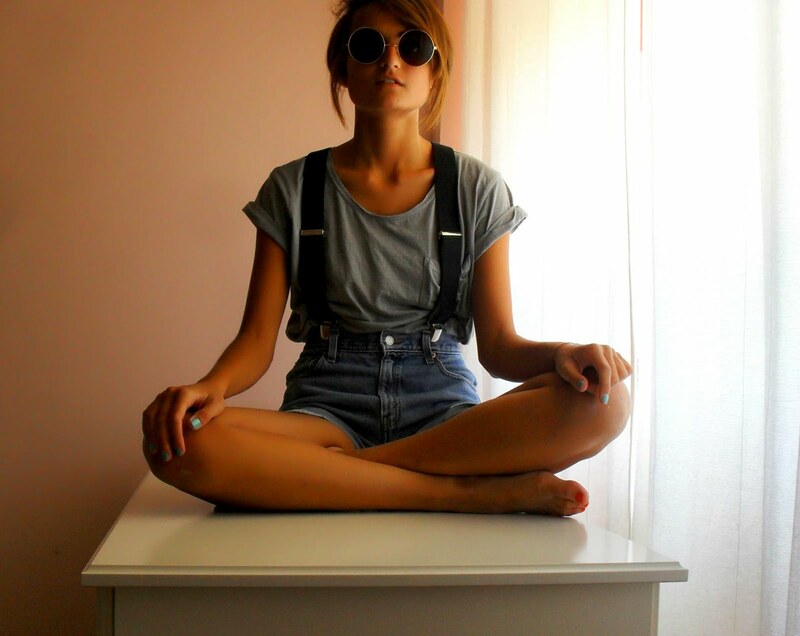 very simple -the suspenders add so much to the outfit love it! Beatiful look, I really like your sunglasses and top. I love this post! You look so freakin' gorgeous! Love the easiness of this outfit! great pictures and lovely clutch! La pochette è proprio bella! vado a vedere questo sito! lovee the circle glasses and the cuffed shorts. I've been wanting some new cuffed shorts. I love the one's Levi's has but sometimes I feel like they're a little overpriced. May try to find my own cheap pair of thrift jeans and cut them. But I love the ones you have! love the outfit! especially the color blocking! this post totally makes my day. your look is soo fresh! love the suspenders! I love it, look great! wowo great pics! !i love the whol outfit an d your blog is faboulous! oh i like the photos, you look so gorgeous with your cool outfit! As usual, love so much your outfit ! this spirit of vintage / old school outfit is just perfect with this short and these braces ! Love your outfit and great photos!! awesome outfit! Love your sunnies! I adore the blue slouchy tank, looks so cute with your levis! your pictures are very beautiful !!! i love your look.. I really like the picture with the (marvelous!) feet in the front of the picture. Really great!!! wow, i like the way how you took this photos! thanks for visit me and its nice to follow you! i am in love with this outfit!! you look amazing the shorts are so cute especially with the suspenders i just love it and the sunglasses are to die for! I love your outfit ! This glasses are beautiful ! Those sunglasses are so good. Thank you for stopping by and for your sweet comment:-) I love this look! And I love the sunnies too! your style is absolutely amazing! great taste :) i'm your new follower, follow back? amazing! I can't find shorts like that ones! lovely post:) like the outfit! Fantastic blog and great shots! 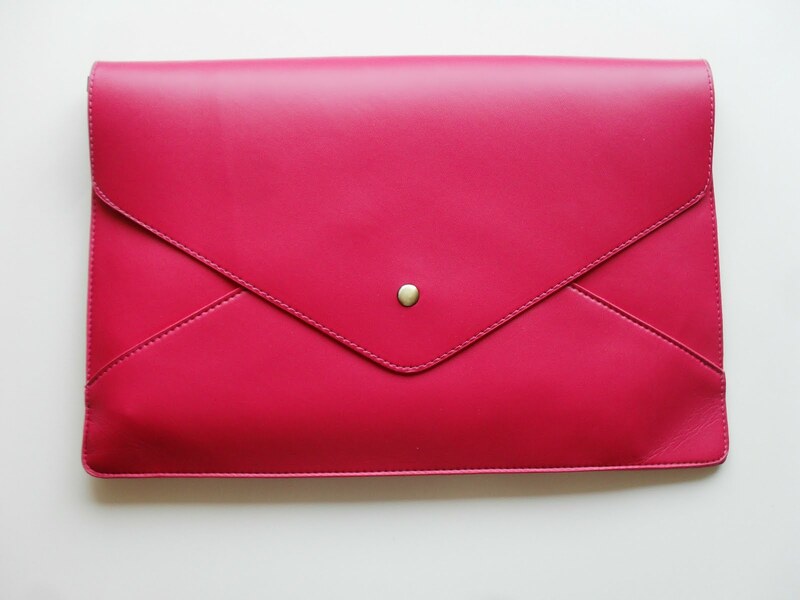 That envelope clutch is so lovely! Another great outfit...and the photos are beautiful! I just love your hip & chic style. Uber cool! I love this outfit, those braces are sooo cool! Amazing pics! You look great! Thanks for commenting on my blog.Loooove this, I'm going to dig out my braces. I'm now following you, please follow me too.